The new album by Snowapple is on general release today, available from all the usual digital retailers plus selected high street shops. Drawing on uncommonly disparate musical backgrounds, the members of Snowapple form a remarkable ensemble, with the three central voices by turns merging into majestic harmonies and peeling off severally into moving solo peregrinations. Singing as one, there are awe-­inspiring depths and heights to their sound, with wide-eyed audiences identifying strains of jazz, gypsy/punk, traditional folk and even opera. This giddy leapfrogging between genres, combined with the wide range of instruments they play, effectuates an incomparable sound. Like 2013’s eponymous debut LP, “Illusion” has strains of the modern fairytale about it – enchanting, alluring and beguiling… with a few perilous twists along the way. At once effortless and adroit, Snowapple’s consummate hypnotic folk­-pop remains at the album’s heart, though this time there is room for a little experimentation, incorporating influences of electronica, contemporary jazz, Krautrock and classical music. 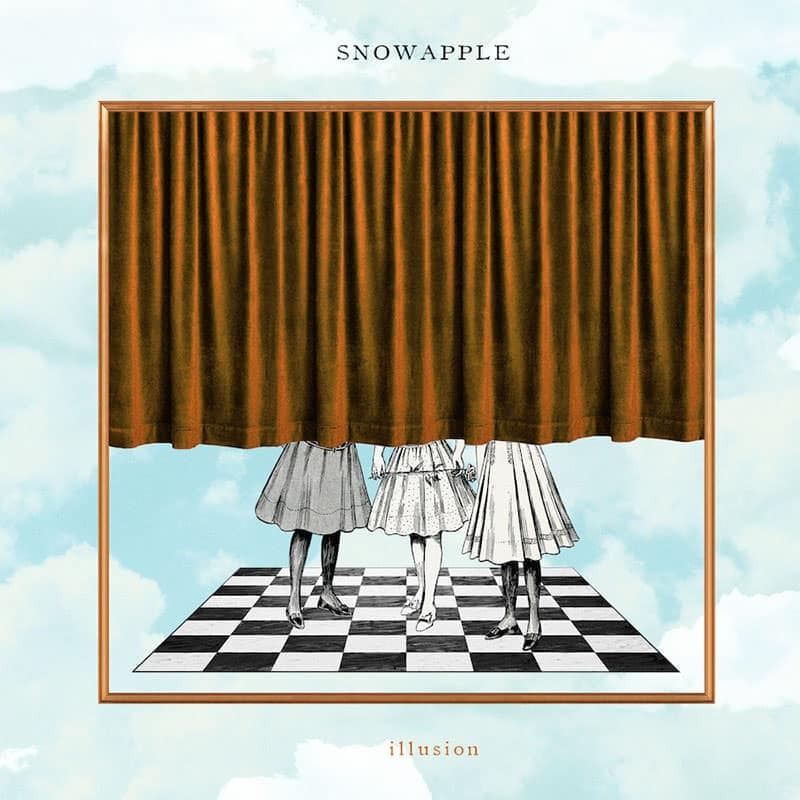 To create “Illusion”, Snowapple worked with a number of different producers, including Chris Hamilton (Kate Nash), Roald van Oosten (Martin Crimp), Biff Roxby (The Bedlam Six, Liz Green, Honeyfeet), Daniel Schaub (Jack Beauregard, Casper) and Joeri Saal (Spinvis, Paul Weller). The result is a bewitching folky electro­pop album of sophisticated compositions and no small quota of surprises. Head to the band’s official website to see if they are touring near you.